In Biblical chronology, people sort Biblical lives and events in the order of their happening, and define how many years passed between events. The Bible itself gives the first clues to Its own chronology. Sadly, different politicians and scholars through the ages have provoked sharp disputes about some of those events and the numbers of years between and among them. Men have twisted history to serve their own ends since the ancient Egyptians and Assyrians. Today I propose a new model for the chronology of people and events after the Global Flood. This model will probably not satisfy everyone. But it does synchronize Biblical and extra-Biblical lives and events better than any other model. Five different disputes about the chronology of the Old Testament have sprung up in the last two thousand years. The Masoretes probably started the first such disputes. These “Interpreters” wanted nothing to do with the rising Christian Church or with any version of Scripture the Church used. This included the Interpretation according to the Seventy, or Interpretatio Septuaginta, or Septuagint or LXX for short. King Ptolemy I Soter first convened the Seventy Translators at the Great Library of Alexandria to translate the Hebrew Tanakh (Torah, Nevihim, and Kethuvim) into Greek. The Evangelists (Matthew, Mark, Luke and John) and certain other Apostles (most notably Paul of Tarsus) used the LXX whenever they quoted Scripture. But the movement among the Jews to separate from all things Christian, demanded a new version of the Tanakh, in Hebrew only. So the Jews gathered their own interpreters to write the Masoretic Text. But even earlier than that (fourth century B.C. 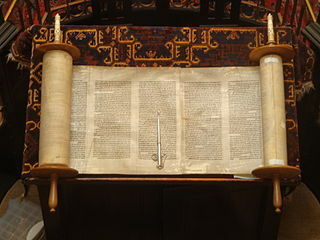 ), the Samaritans created their version of the Torah: the Samaritan Pentateuch. The Samaritans kept the Torah (their version) only and not the Nevihim (Prophets) or the Kethuvim (Writings). We cannot say for certain that any of the three versions must be correct for both or neither of those two sets of Annals. One version might give the correct numbers for one, and another version for the other. So two of the give Biblical chronology disputes stem from these three versions of Genesis. The same Jews who commissioned another version of the Tanakh also commissioned the first systematic chronology of ancient Jewish people and events: the Seder Olam Rabbah, or the Great Order of the World. This Order sets the epoch, or beginning year, of the modern Hebrew calendar (from Rebbe Hillel II). The authors of the Seder Olam Rabbah calculated creation at 3761 BC. They also raised two other points of dispute. First they calculated the birth of Abraham in the 71st year of the life of Terah, his father (the Early Birth of Abraham). But Genesis tells us Abraham, at the age of 75, left Charran (“Haran”) at the death of his father. And Terah lived 205 years before he died. So either Abraham was born in the 131st year of the life of Terah (the Late Birth of Abraham), or Abraham left his father sixty years before his father died physically. Those who hold to the Early Birth say Terah died spiritually by refusing to continue a journey the family began earlier, from Ur Kasdim (“Ur of the Chaldees”). Second, they allowed only 215 years for the Sojourn of the Children of Israel in Egypt. But Exodus 12:40 clearly says the Israelites spent 430 years in Egypt. Why 215? Christian scholars cite Galatians 3:17 as saying the Law of Moses came to the Jews 430 years after the Promise to Abraham. So they count the 430 years as beginning with the Abrahamic Covenant, not the entry of Jacob and his family into Egypt, 215 years later. Why did the authors of the Seder Olam Rabbah so act? To support Simon bar Khochva, the great Jewish rebel of 135 AD, as the Messiah. After that failure, Emperor Hadrian moved the Jews out of the Land of Israel (the Diaspora), settled Arabs in their places, and changed the name of the province from Judea to Palaestina, a Latin corruption of the more-ancient name Philistia. Last of all: Prof. Edwin R. Thiele (The Mysterious Numbers of the Hebrew Kings) set Biblical chronology on its head. He sought to synchronize King Ahab of Israel (“The Northern Kingdom”) with King Shalmaneser II(III) of Assyria, and the Battle of Qarqar. Ahab joined a twelve-member alliance against Shalmaneser. When did this battle take place? Thiele calculated that battle at 853 BC. He then telescoped out forty-five years of history between the Kingdoms of Israel and Judah (“The Southern Kingdom”) to fit that date. To do this he assumed all manner of viceroyalties and co-reigns to which the Bible simply does not attest. As a result he fixed the date of the Exodus at 1446 BC. James Ussher (The Annals of the World), using the Masoretic Text, fixed it 45 years earlier. Modern Ussher apologists simply discount, dismiss, and disavow any part Ahab played in any battle against Assyria during his reign. But they have no more ground to do that, than did Thiele to assume all those viceroyalties and co-reigns. Thus politics, and academic cliquishness, have taken the place of truth. For that reason we have twenty-four possible dates for the Biblical Flood and seventy-two possible dates for creation. To choose among them, we need some evidence beyond dispute. Narrowing the date for the Global Flood would go far to solve four of the give disputes in Biblical chronology. Happily, Walter T. Brown of the Center for Scientific Creation can help do that. The Hydroplate Theory of the Global Flood describes this Flood as part of a vastly larger event. Among other things, up to four percent of the mass of the earth escaped into space to form the Mavericks of the Solar System. These included comets and asteroids. Two years ago, Brown released a finding that the most likely time that Comets Halley and Swift-Tuttle, the two for which we have the best records, to have been at perihelion at the same time, happened at 3290 BC, give or take a hundred years. Of twenty-four calculated dates for the Global Flood, five fall within that interval. All five follow from the Long Sojourn in Egypt. Four of these follow from using Septuagint numbers, three follow from the Late Birth of Abraham, and three (not all the same) follow from Ussher’s original scheme for the chronology of the Kings of Israel and Judah. One of these dates has better support than any of the rest, for it has “majority support” from one position in all the chronology disputes except that of creation. Ussher’s chronology of the Hebrew Kings, the Long Sojourn in Egypt, the Late Birth of Abraham, and the Septuagint numbers in the Annals of Terah, all lead to a year for the Global Flood of 3344-3343 BC. The year of creation would fall on or about 5000 BC, if the Masoretic numbers hold for the Annals of Noah—or as far back as 5600 BC if the Septuagint numbers hold. Brown offers this warning: the Annals of Terah (like the Annals of Noah) might contain rounding errors. Any number of years ending in five or zero, someone probably rounded to the nearest multiple of five. Brown guesses any date for the Flood would have a tolerance of ± 20 years. How long did the year and month last? The Bible does not always give dates precise to the day. Shem, Ham and Japheth gave remarkably precise dates for the Flood and other events during the Flood year. But not until the Exodus does Moses return to such precision. The evidence from Shem, Ham and Japheth’s log entries clearly shows a month had 30 days, and a year had 360 days. The year did not change its length, but the month and day did. The day likely changed its length during the Flood year, with the gravitational settling of the compression phase of the Flood. The synodic month probably got longer, then abruptly shortened to its modern length in the Great Bombardment. That bombardment probably happened in the year of the Biblical Famine, or a number of years earlier. A companion asteroid to the earth broke up and rained most of its fragments onto the moon. But two or three or more of these fragments fell to earth. They kicked up a dust cloud that drifted over the sources of the Nile and stopped the rains for seven years. How and why the Egyptian state survived, the Annals of Joseph—the only Annals of Genesis that come to us on papyrus—tell us. The “Short Sojourn” has this much support: Exodus, and 1 Chronicles, both mention an “Amram” among Levi’s sons, and an “Amram” who “took his father’s sister to wife” and by her had Miriam, Aaron—and Moses. Until today, most people assume—without warrant—that these two Amrams are one and the same. Suppose they are not? Paul J. Ray, Jr., writing on-line for Biblical Archaeology, suggests two men named Amram existed, with one the grandson (or great-grandson) of the other. The Bible often speaks of two different men, in two different generations, having the same name. This solution also allowed for the twelve generations of Ephraim somehow living together with the four generations of Levi. In fact, the generations between Levi and Moses inclusive numbered at least seven and maybe eight. The years from the Exodus forward fit with Ussher’s chronology, except for the year of the Fall of Jerusalem. Floyd Nolen Jones (The Chronology of the Old Testament) synchronizes that fall with prevailing secular records. To do this he repairs a misunderstanding concerning the accession-year system the Kings of Judah used, and the non-accession-year system of the Kings of Israel. Dates earlier than the Exodus lack the precision of some of their more modern counterparts. The month changed its length over about 1420 years, as various meteoroids and comets bombarded the Moon enough to change its orbit of the earth. The last Great Bombardment took place well before 1921 BC and slowed the moon to its modern orbit. During those more than fourteen centuries, the households of Abraham, Isaac, and Jacob, and the ancient Israelites, kept a rough calendar by observing the phases of the moon and the readiness of their crops for planting and harvest. They would not need to specify a date precisely, to the month and day, until after the Exodus, when they needed to keep regular festivals. Finding a proper epoch, or First Year of the World, proves more difficult. Even fixing a (best) date for the Biblical Flood cannot fix a date for Creation. We still have three different intervals between Creation and the Flood: 1656 years (Masoretic), 2262 years (LXX), and 1307 years (Samaritan). Furthermore, Lamech lived to the age of 777. Three sevens. God’s favorite number repeats three times. Ms. Elder calls this a “divine watermark,” a hint that the numbers “check out” as God intends. The Samaritan Pentateuch goes even further out-of-line. It shows Methuselah born in 587, less than 800 years before the Flood. On the other hand, the Annals of Terah, in the LXX, give a genealogy including one name the MT leaves off: Cainan, son of Arpachshad and father of Shelah. Luke the Physician mentions Cainan also, in his genealogy of Jesus, leading clear back to Adam. For these reasons, one can choose the MT numbers for the Annals of Noah and still choose the LXX for the Annals of Terah. This sets the epoch of Creation at 5000 BC. This figure for the epoch of the world looks like a round figure consistent with the traditional Julian Calendar epoch. Actually it means the Flight into Egypt, not the Birth of Jesus Christ, happened in the 5000th Year of the World. In this year, not the year of Christ’s Birth, the triple conjunction of Jupiter with Regulus (Alpha Leonis) happened, the signal to the Magi of Persia (Matthew ch. 2) to start traveling toward Bethlehem. The ancient, pre-Flood calendar assigned no names to the months, but only ordinal numbers (first, second, third, etc.). The most likely “first month” began with the fall equinox. Month would follow month, in precise intervals of thirty days each, until the Flood (17-2-1656 AM). Furthermore, we have no evidence that the ancient Israelite ever named their months before the reign of King Solomon. Only then do any month names bear mention: Aviv (first religious month), Zif (second month), Ethanim (seventh), and Bul (eighth). Moses passed along Divine instruction to set the first month in springtime, not fall as was the rule before the Flood. Most people do not realize, or seem to care, that the names Aviv, Zif, Ethanim, and Bul came from the Canaanite peoples, not from any Hebrew or Israelite tradition. The current month names in the Hebrew calendar (Nisan, Iyyar, Sivan, etc., to begin the religious year, and Tishrei, (Mar)Cheshvan, K(h)islev, etc., for the civil year) came from Babylonia during the Exile. If the Masoretes truly wished to discard foreign tradition, they did not finish their work. They should have substituted strict ordinal numbers for all the month names. Instead they used the names King Solomon borrowed from the Canaanites, and other names Ezra, Nehemiah, and probably Mordecai borrowed from the Babylonians. Floyd Nolen Jones (op. cit.) offered another scheme for naming Hebrew months other than strict ordinal numbers. He suggested the ancient Israelites named their months after relevant growing, planting, and harvest seasons. Thus the first (spring) month becomes “barley harvest,” the second “general harvest,” the third “wheat harvest,” and so on. Why shouldn’t they? An agricultural people would naturally name their seasons for their usual farming activities in those seasons. Joseph Lagrange, the French Revolutionary weights-and-measures master, renamed the months of the French Republican Calendar, also from a farmer’s point-of-view: vintage, fog, and frost in the fall; snow, rain, and wind in winter; sprouting, flowering, and grass growing in spring; and cereal harvest, heat, and fruit harvest in summer. Note: a luni-solar calendar must throw in an extra month at the end of either the religious or civil year. Dr. Jones can find good Scriptural support for his scheme, in Genesis (“Reuben went, in the days of wheat harvest, and found mandrakes in the field…”) and Ruth (which mentions barley and wheat harvest prominently). To sum up: I propose a new year-of-the-world calendar, to settle most of the biblical chronology disputes of the last thousands of years. This calendar has its epoch at 5000 BC (Julian calendar). For the first 1656 years, it has years of 360 days and months of 30 days. (Note: each day runs longer than a modern day by about twenty minutes. The year never changes its length, but the day grows shorter and the month even shorter by comparison.) From 3343 BC to 1921 BC the calendar has days of 365.24 days; the lengths of the months change constantly and are at first longer than 31 “new” days, until the years of the Biblical Famine. From that time forward, the synodic month assumes its modern length of about 29.585 days. The best way to name these months is to assign ordinal numbers, or to choose Hebrew farming and/or weather seasonal names. RETURN TO ARK AND FLOOD DEFENSES PAGE.